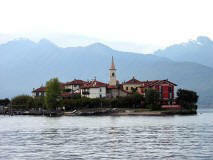 Lake Maggiore, lake Como, lake Garda or Orta are wonderful lakes in the north of Italy. Choose one of our venues in the lake district. Each lake has unique charming towns which provide beautiful settings for your wedding day. A great destination is also lake Trasimeno, a magnificent lake in the centre of Italy with amazing natural parks and small islands.